It doesn't matter which side of the pane controversy you fall into -- because this next car is gonna change your mind and turn the entire world pro-pane. 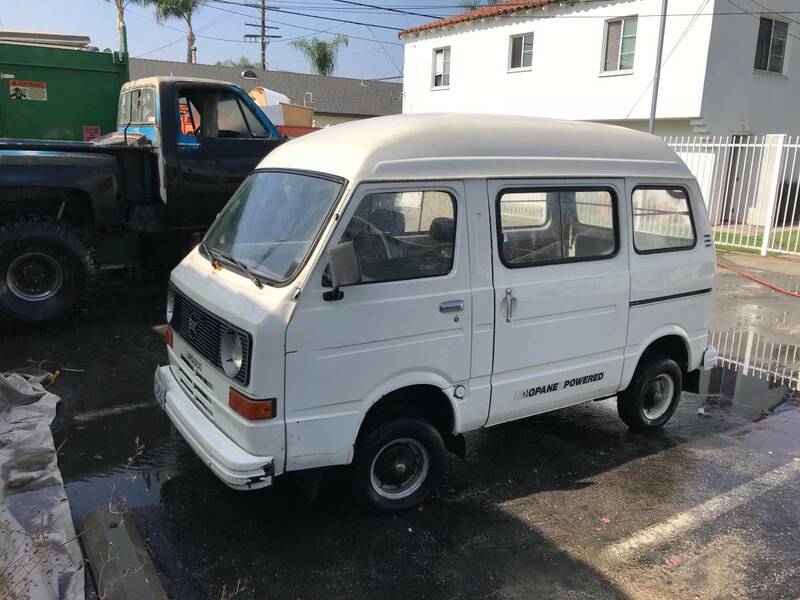 It is simultaneously adorable (just look at how cute the thing is) and terrifying (eggads, imagine merging onto the 405 freeway with two cylinders of LPG power) and I want it. 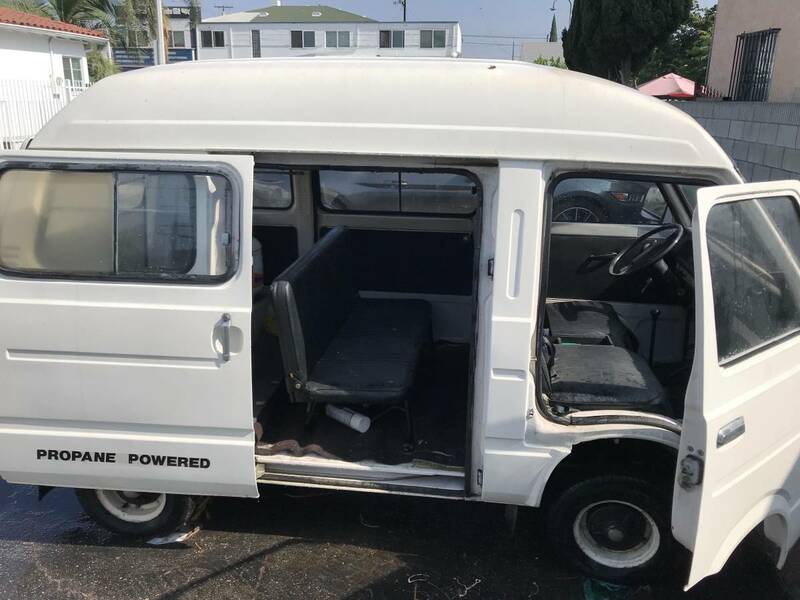 Find this 1983 Subaru Sambar MicroVan offered for $5000 in Huntington Park, CA via craigslist. Tip from Rock On! great little van, although I thought they were called Samba without the "R"? This is the first one I have ever seen that is LHD and made for our city traffic unless someone took the pix and fixed them.